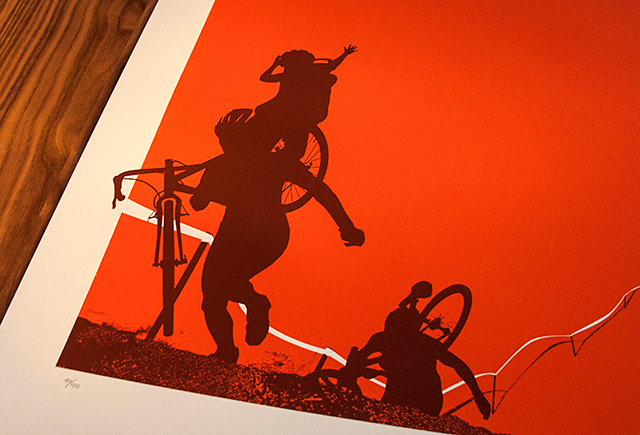 Artcrank Minneapolis 2015 - BrainstormOverload - Small design studio. Big ideas. There are a ton of cycle-mom’s out there crushing the race course or the ride to work. 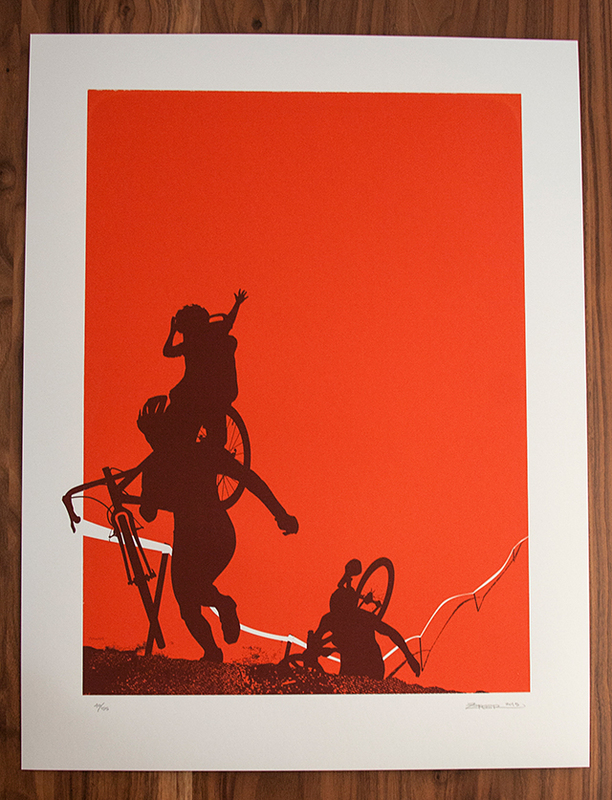 This print celebrates the physical burden and the spiritual inspiration of being both an athlete and a parent – that special energy that comes to us somewhere in the delivery room and pushes us to conquer challenges to be better people on behalf of our kids.. Extra “Proud Mama” prints are available in our Shop. This year’s show was held at the Fulton Brewery in Northeast Minneapolis. There was a huge turnout despite the sporadic downpours of rain. The show went on to hang at the Hamilton Ink Spot where many of the prints can still be found.